We live in a real-time traffic, turn-by-turn directions, GPS world. Why do financial institutions still hand out the equivalent of gas station maps? I hear from many financial institutions that creating financial plans for their clients is an important goal, in fact some have goals to provide financial plans to all or a significant percentage of their clients. Part of this is a noble goal– firms will be able to do their best work when it’s relevant to a clients’ unique situation and goals. But it also makes good business sense. Research links financial planning to deeper wallet share and a higher likelihood achieving that elusive “primary financial advisor” status. Your financial advisor, their financial planner colleague, or one of their assistants will manually input data from your personal papers into financial planning software. Meet with your advisor again and receive a spiffy multi-page document with color pie charts and bar charts a bunch of text (that usually says you will not be able to meet all of your financial goals unless you immediately and significantly increase your savings and reduce your spending). File your financial plan away with the rest of your personal papers. You may get a call in about a year to repeat the process (or maybe not, if they were just conducting a box-checking exercise). 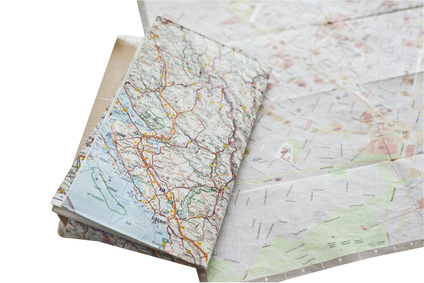 That’s the paper gas station map, folded up inside out at the bottom of your financial glove box. Firms should be integrating a broader view of client data onto their desktops and into their financial planning process. According to research from CEB Tower Group, 90% of advisors cannot see a consolidated view of their clients’ holdings that are held away from their firm, and 76% cannot even see a consolidated view of their clients’ holdings within their own organization! It’s not just financial planning. The client onboarding process is often a similarly manual process that also often squanders significant opportunity to improve client engagement. It’s time to bring the industry into the GPS world.